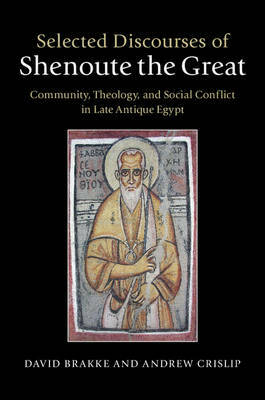 Shenoute the Great (c.347-465) led one of the largest Christian monastic communities in late antique Egypt and was the greatest native writer of Coptic in history. For approximately eight decades, Shenoute led a federation of three monasteries and emerged as a Christian leader. His public sermons attracted crowds of clergy, monks, and lay people; he advised military and government officials; he worked to ensure that his followers would be faithful to orthodox Christian teaching; and he vigorously and violently opposed paganism and the oppressive treatment of the poor by the rich. This volume presents in translation a selection of his sermons and other orations. These works grant us access to the theology, rhetoric, moral teachings, spirituality, and social agenda of a powerful Christian leader during a period of great religious and social change in the later Roman Empire.